This variety of blueberry is one of the best. Reka has a sweet and rich flavor. It produces lots of berries even when young, and even when in a container, like mine. Reka was developed in New Zealand for it’s vigor and adaptability to a wide range of Northern climates and soil types. Berries are medium in size and delicious. Tomorrow, blueberry pancakes! What is your favorite blueberry? I love blueberries and my ones have just finished ripening. I’ve had some trouble with them as the birds keep on taking a nibble every now and again. 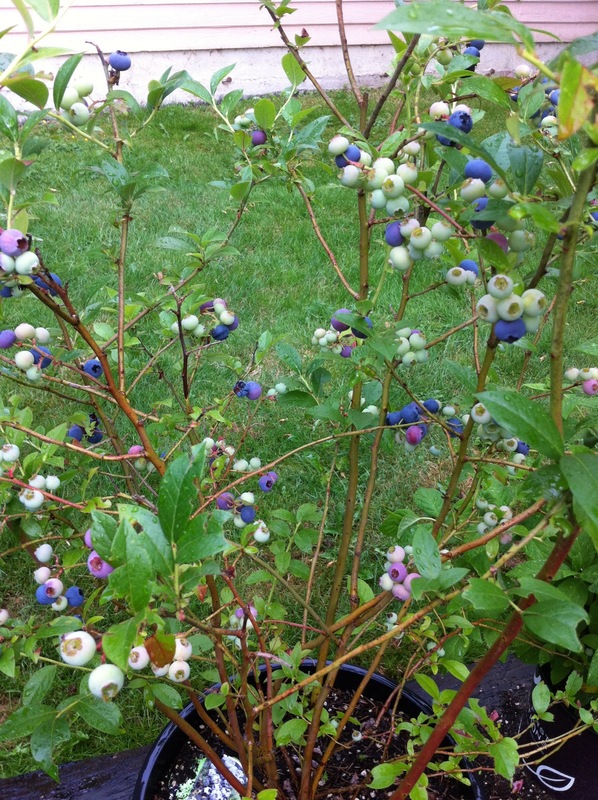 I find it’s best to put blueberries in a spot surrounded by other plants… love your ones! Previous Previous post: Ukigumo, You’ve Been With Me Four Years!